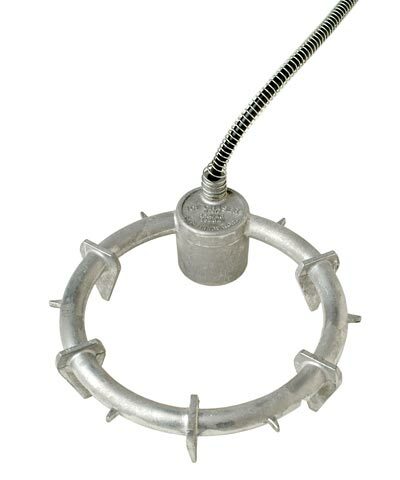 Keep your livestock watering tank from freezing over using the Farm Innovators Ice Chaser Submersible Tank Deicer. Maintaining some open water surface will keep your livestock's water source available all winter long. The metal frame is completely submersible, and will not harm plastic or structural foam water features. This deicer uses 1500 Watts of thermostatically controlled power to deliver the necessary heat only when the temperature drops below freezing. Additionally, this powerful deicer is capable of clearing up to 300 gallons. The heavy duty cord features a metal wire guard that protects it from being chewed. Made of cast aluminum for safe and efficient use, season after season. Made in the USA. Three year warranty.